Since I have an archive of all versions of WordPress on my development computer for function implementation historical purpose, I thought it could be fun and interesting to install them all and get reminded of what we used to use. 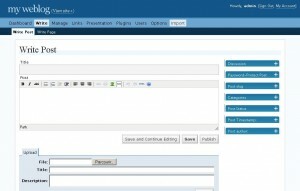 Ready for five years of UI evolution, from 0.7.1 in 2003 to 2.7 in 2008? Let's go! 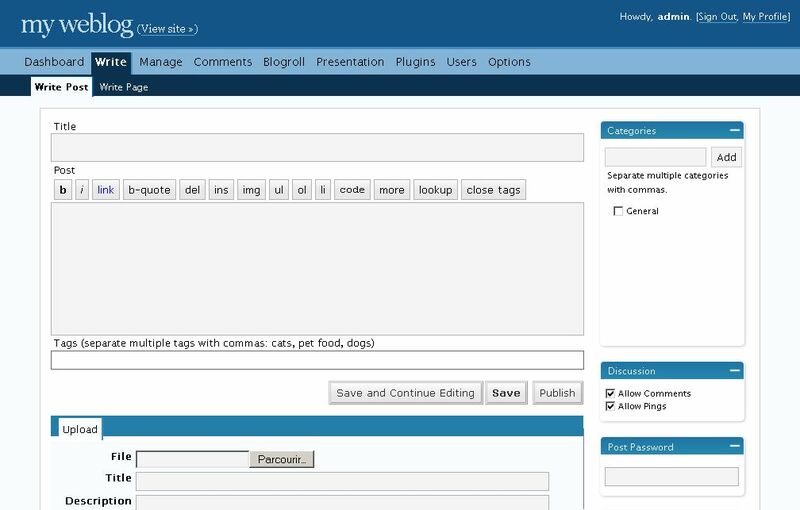 The first version of WordPress had a clunky manual install procedure with a bloated b2config.php file, where you had to edit a bunch of stuff. The landing page of wp-admin was directly the "Write Post": no dashboard in those ages of prehistoric blogging, no emphasis of satellite tasks such as managing comments. You could only assign one category to a post. Simple interface, simple menus with no sub-menu. 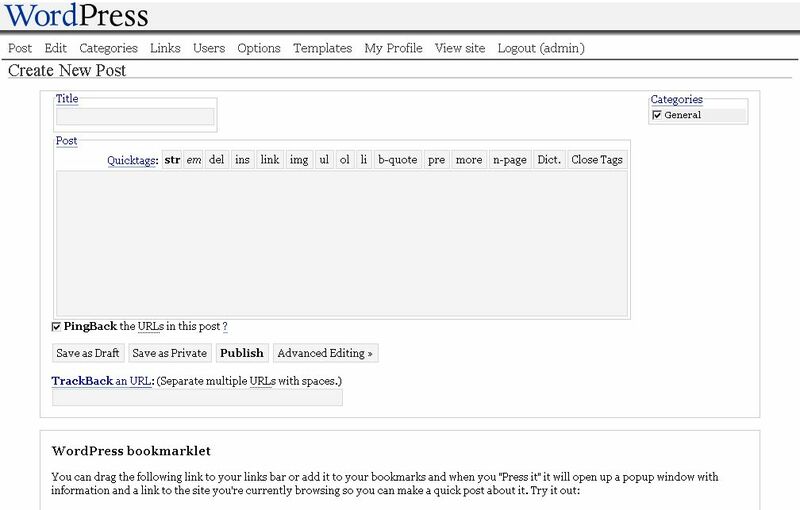 The page where you would manage users was called "Team" which I find interesting. 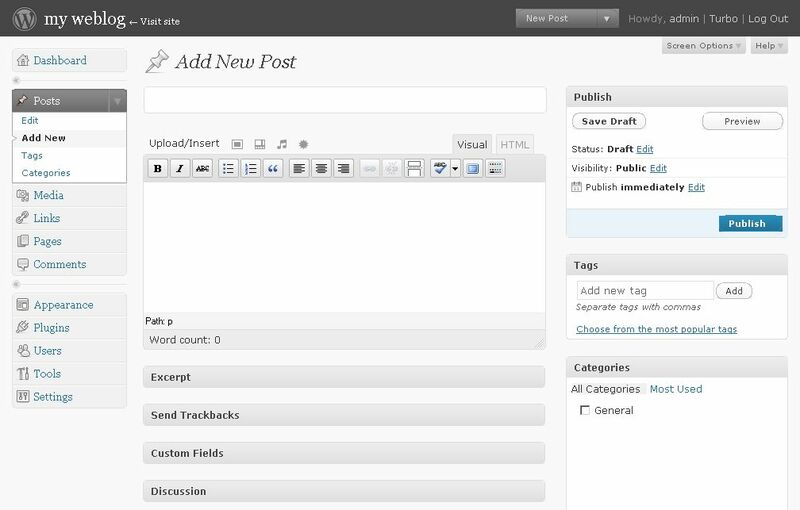 Weeee, the WordPress version I began playing with! A major maturity step had been made with this version: the genuine concise wp-config.php as we still now it, almost unchanged. 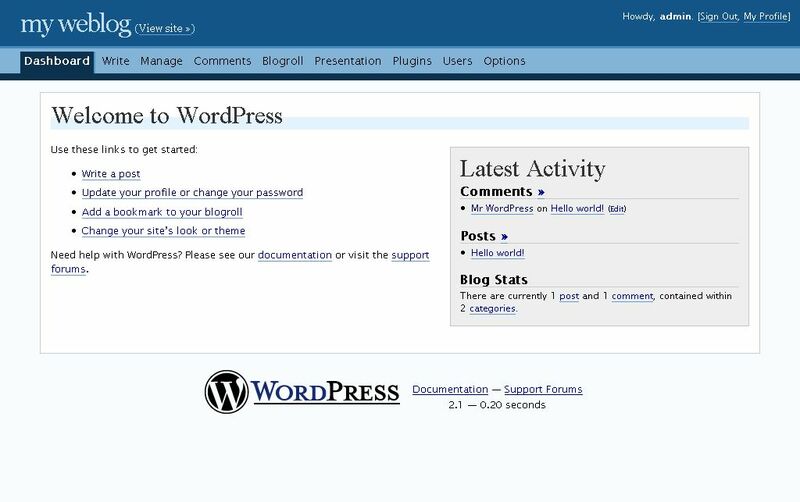 This is when WordPress was really born and quitted from being a half baked B2 fork. 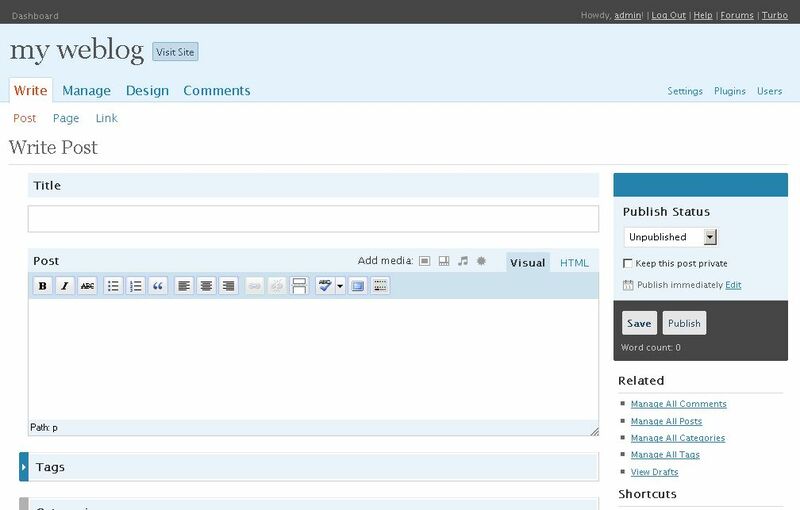 I remember the default look, still available as "classic", getting a lot criticism at this time. 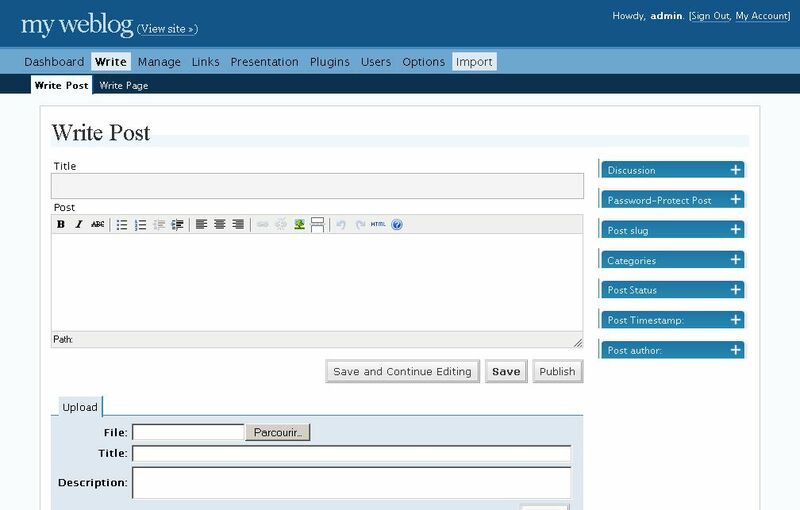 Not a lot of change in the design, but still a revolution in the coding world: notice in the admin menu an new entry, labelled… "Plugins". Oh my. Now this is getting seriously fun. 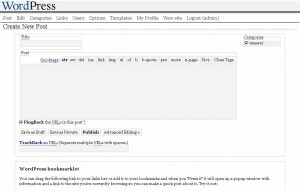 Major change in the blogging philosophy: now with "Pages", not just "Posts". 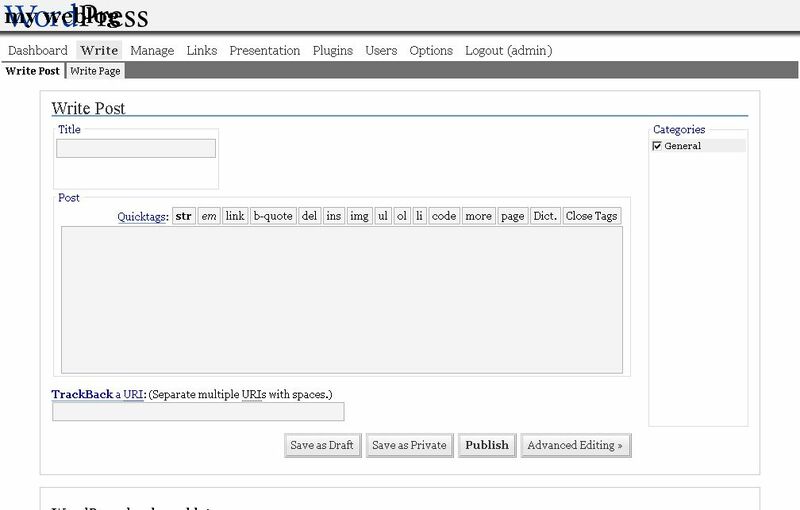 Major change in the coding philosophy: the menu "Template" is now labelled "Presentation" and gives access to… Themes! 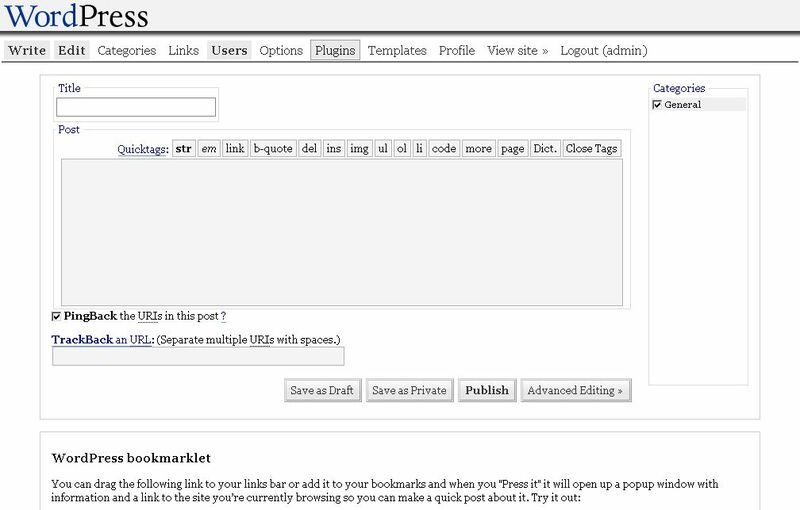 Themes, shipped with "Kubrick" (still known as "default") was probably the feature that really launched WordPress as an ubiquitous platform with an ever growing community. 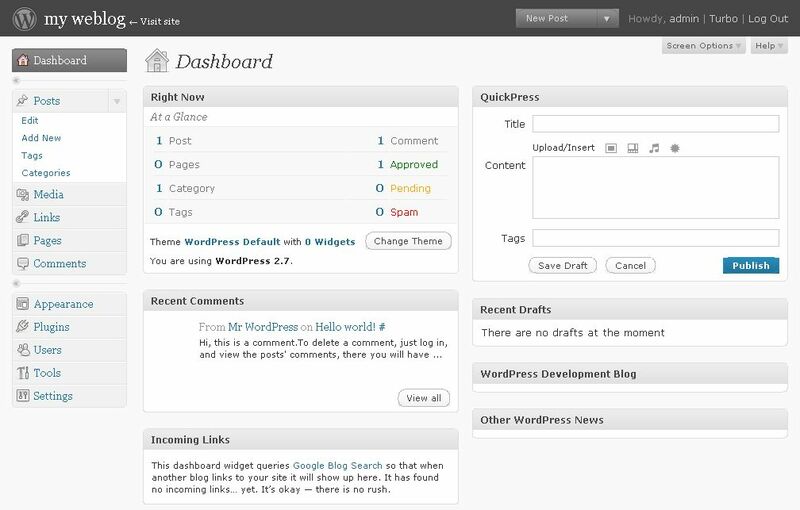 This version also brings the beginnings of a dashboard. Nothing was using AJAX so things were rather slowed down when it would fetch news from the dev blog or the planet. 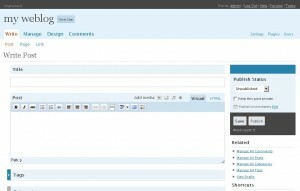 A few months later, WordPress 1.5.1 shows a slight variation in the layout: no more WordPress logo and light grey page background. Just in time for the party, say hello to the "big blue header". 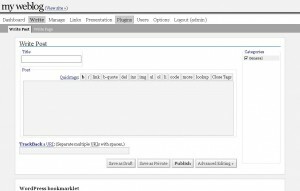 Notice the "Import" menu: while importing from other platforms such as Blogger or MovableType was a feature since 1.0, it got more proeminent in this release. "Take over the world"? Nothing much on the top of the iceberg. 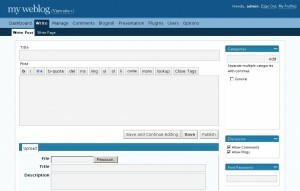 Visible changes in this version: "Links" renamed "Blogroll", "Comments" gets its own menu. 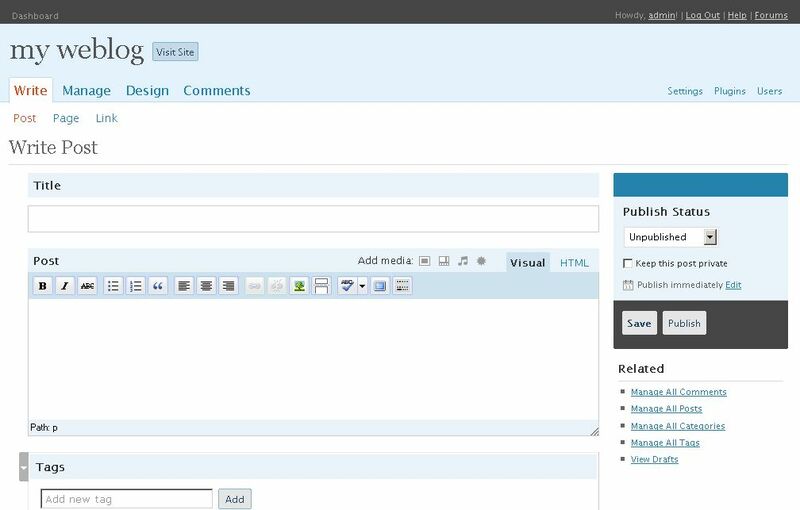 The Dashboard gets a pretty much needed AJAX enhancement, allowing for faster loading. 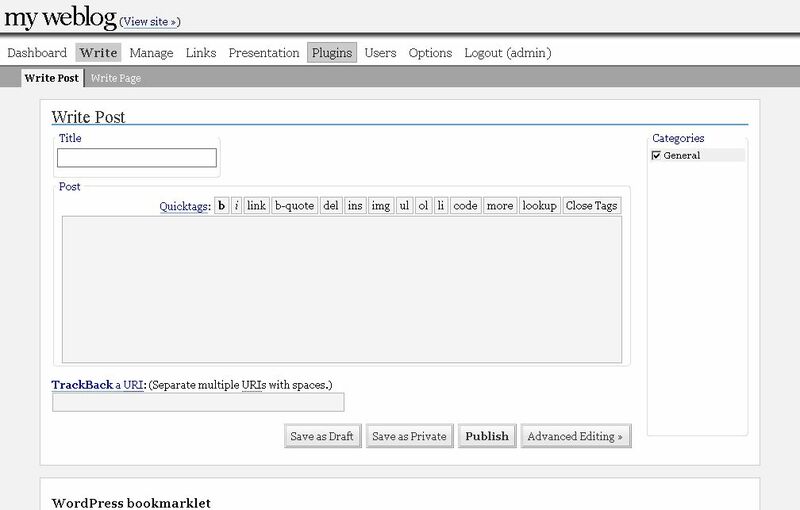 Right below the main textarea, you'll notice a new little feature: "Tags" appeared in this version, with huge impacts on the DB architecture that for once broke quite a few themes during the upgrade. 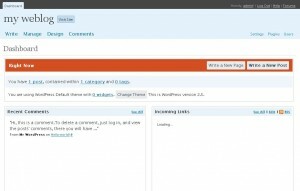 The "DO NOT WANT" release: an attempt to reorganize the user interface that was, in my opinion, a major failure. Admin links spread in 4 different locations all over the place, half of the information "below the fold" for maximum scrolling, menu links renamed with no logic and a washed out look. If you ask me, I hated this release, UI wise. The Dashboard got a rework, and it started to become more customizable and usable instead of a rather useless static page. Two little new features show in the screenshot: a word count in the Write Post interface (wow) and the "Turbo" link for using Google Gears. "Hey, wait a minute, is it the same platform? Everything looks so different!" Now that's a redesign I like. The dev team asked users what they wanted and what they liked, and the result is light years beyond what the design studio produced for 2.5 six months earlier. One word to summarize it all: "Above the fold!". 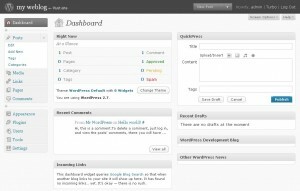 The Dashboard is much more useful now and is a page from where you can interact with your blog, instead of just reading information. So far, UI wise, 2.7 is the best release to date, with, at last, a real menu where any page is reachable from any other page. I hope that the next major release won't change everything in the layout once again, and I do have the feeling that this design will last some time. 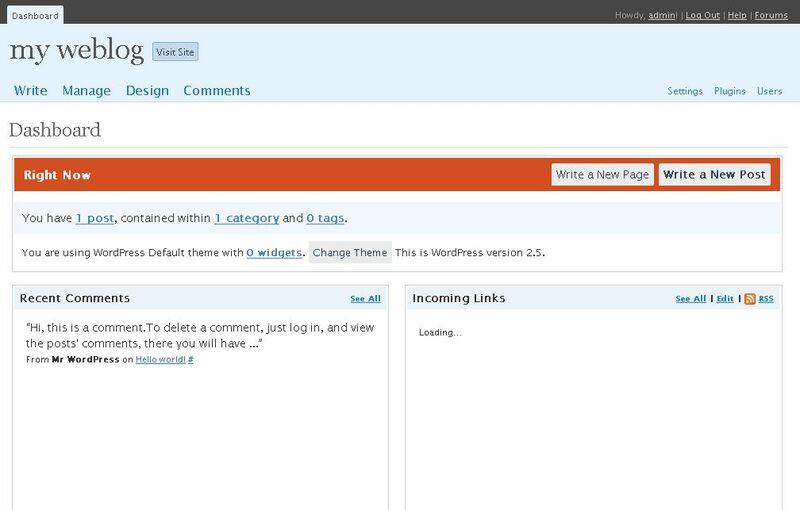 I liked your tour for the history of wordpress, but in my opinion you forgot the one-button-update-plugin functionality (without having to pass any parameter/ftp info). 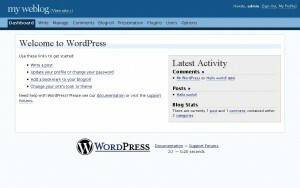 Really easy to have wordpress up to date. mad93 » This is not a *feature* history. This is an interface history. Since upgrading to 2.7 my dashboard menu items have disappeared. I can't get into anything to alter designs etc. 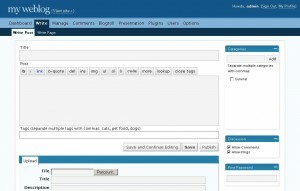 Brad: deactivate all plugins (ie, if you can't see the plugins page, simply rename wp-content/plugins to wp-content/plugins.old). If that doesn't fix, don't know. 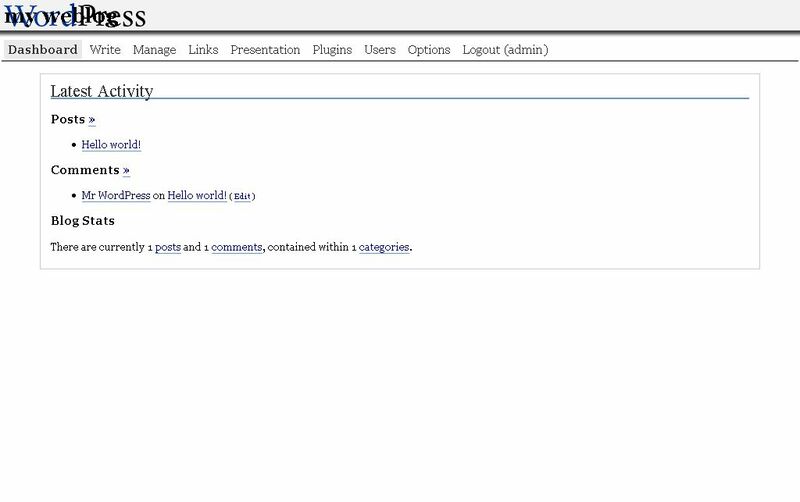 Interesting chronology, year by year it seems that in wp and others that the admin console and user interfaces has evolved I think on the bases of user feedback, security, appearance and ease of navigation. I found it challenging at times with some of the specialized features to learn but in the long run it can be rewarding. I do how ever favor wp over the likes of blogger or typepad as my choice in blogging. 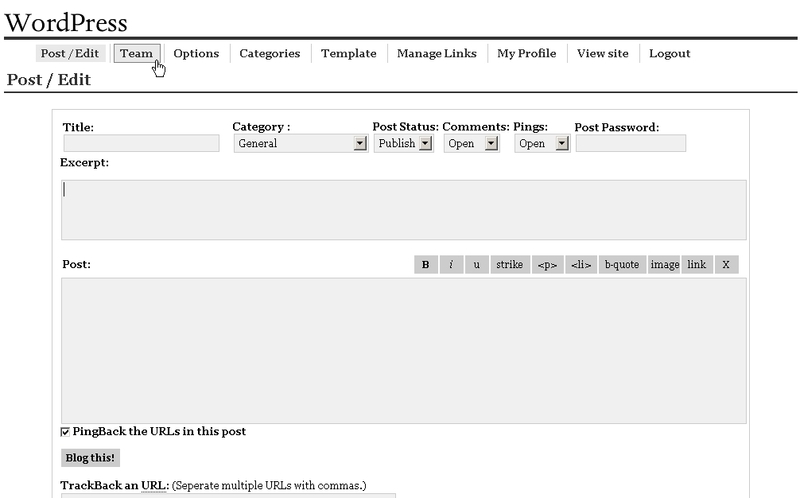 Currently I'm switching all my blogs to the wp platform a tack that will take a while to complete. My current project blog will be switched soon and I hope to update it with all the mods from this great platform. 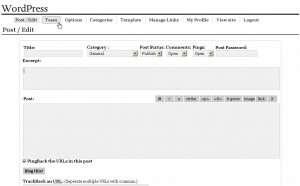 wp doe's have the best skins without a doubt and the user community is very helpful as far as troubleshooting is concerned. Good WP! Nice review. Honestly it gets on my nervs that there is every day a new version to upgrade. Some major upgrades would be enough. 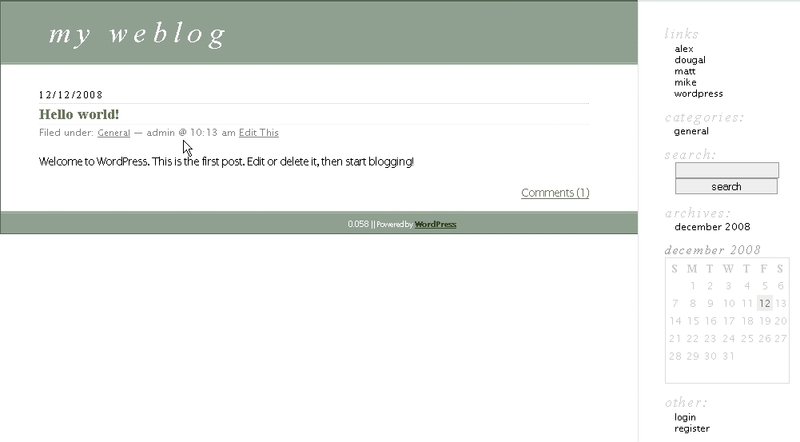 Keep on bloggin. It was great to see the transition from such a simple outlay to what it has become today. Very interesting to look at the developments taken place over the years. I am sure Word press will go a long way. Great post. Thanks for sharing! 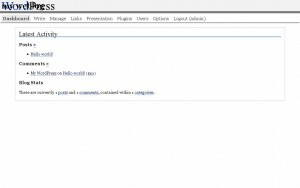 « When Was This Function Added Or Removed From WordPress? 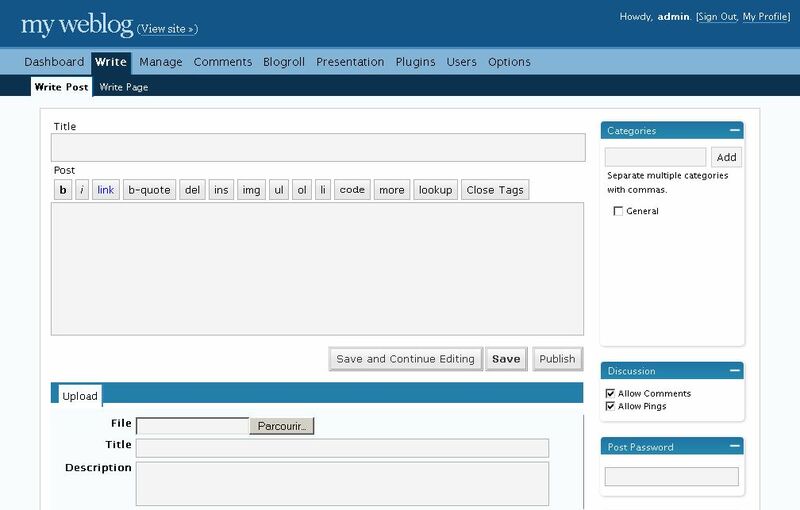 Post: A Journey Through Five Years of WordPress Interface. «Previous post: When Was This Function Added Or Removed From WordPress?